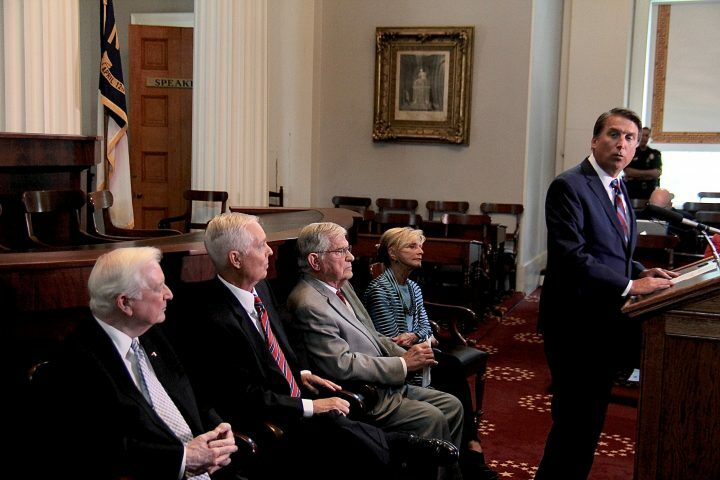 Former North Carolina governors, from left, Jim Hunt, Mike Easley, Jim Martin, Beverly Perdue and, at the podium, Pat McCrory, speak Monday against the legislature’s proposed constitutional amendments. Photo: Kirk Ross. 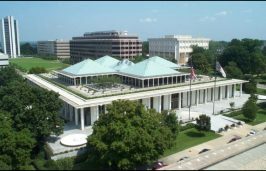 RALEIGH – With a deadline for printing ballots for the 2018 elections fast approaching, court challenges and high-level opposition are putting a focus on proposed constitutional amendments that could shift a considerable amount of power from the Office of Governor to the North Carolina General Assembly. 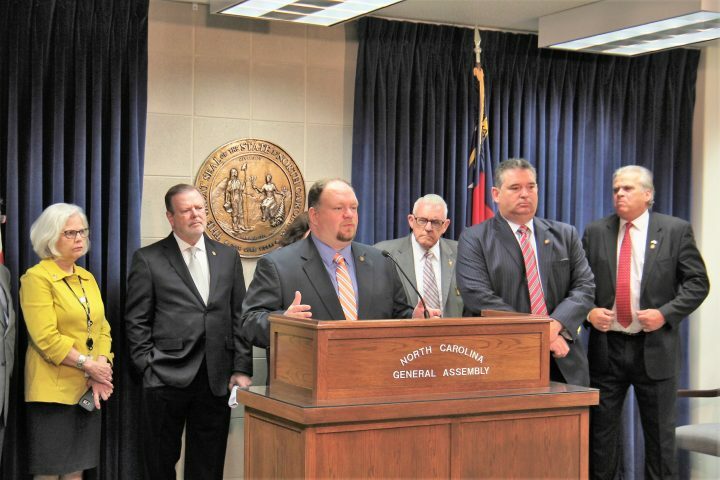 During a joint press conference Monday at the North Carolina State Capitol, the state’s five living former governors, two Republicans and three Democrats, came out strongly against two amendments they say would undermine the power of the executive branch. The unprecedented rebuke of the legislature’s moves comes as legal efforts against the amendments continue. Last week, the Southern Environmental Law Center joined the legal fight against the amendments, filing a case on behalf of Clean Air North Carolina and the state NAACP that challenges four of the six proposed amendments. The General Assembly passed the amendments during the last week of June at the end of this year’s short session. Legislators returned last month to write the ballot language for the amendments and returned again a week later to overturn Gov. Roy Cooper’s veto of those bills. Cooper launched his own legal battle against the amendments shortly after they were approved by the legislature. Bills relating to constitutional amendments are one of the categories of legislation not subject to a gubernatorial veto. The five former governors late Tuesday filed an amicus brief joining Cooper’s lawsuit against the legislature. 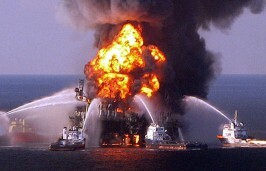 In an interview Tuesday with Coastal Review Online, Kym Hunter, the Southern Environmental Law Center’s lead attorney for the case, said she expected a ruling on a temporary restraining order as early as Wednesday. Legislative leaders challenged the plaintiffs’ standing, and plaintiffs responded that lawmakers misstated key facts. A three-judge panel is scheduled to hold its first hearing in the case at 9:30 a.m. Wednesday in Wake County Superior Court. Hunter said that, of the four amendments, the greatest potential impact for the state’s environment could come from passage of an amendment that would give the legislature sole authority to appoint members of state boards and commissions, including those with direct authority over implementing environmental policy and rule-making. In the lawsuit, nonprofit Clean Air North Carolina joined with the NAACP to also fight a proposed voter ID amendment that will allow the legislature greater authority in drafting new voter ID laws to replace one that was struck down as unconstitutional after a federal appeals court ruled it targeted African-American voters. Hunter said that while it may not seem like an environmental issue, the disproportionate effects on African-Americans in environmental disasters and, as the recent industrial hog farm cases illustrated, disproportional impact in dealing with day-to-day pollution make fair representation a priority. The lawsuit also challenges a proposed amendment for a tax cap that could limit the state’s response to environmental challenges, she said. 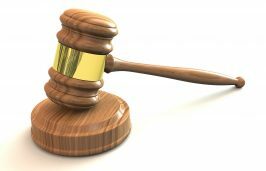 And a judicial appointments amendment would give the legislature control over candidates to fill judicial vacancies, a change Hunter said threatens judicial branch independence. The proposed amendment also contains a section that Hunter and others say could allow for a judicial appointments bill, which also cannot be vetoed, to become a vehicle for other legislation that would otherwise be rejected by the governor. Hunter said while she expected a ruling soon on the temporary restraining order, the case will likely be appealed regardless of the outcome. But time is running short to finalize the fall ballot. State Board of Elections and Ethics Enforcement officials said the board will need to send ballot data to vendors on Friday to meet a deadline to have absentee ballots ready by Sept. 7, or 60 days before the election, as required by law. Patrick Gannon, public information officer for the state board, said the court can reduce that threshold to 45 days before the election, but that absentee by-mail ballots must be available by Sept. 22 under federal law. Early voting starts Oct. 17 and Election Day is Nov. 6. The legislature is scheduled to return Nov. 26 to take up enabling legislation for any constitutional amendments approved by the voters. The current lawsuits are just a precursor to what will come if the two amendments aimed at the powers of the governor pass, according to former Gov. Jim Martin, a Republican who served in the office from 1985 to 1993. During a Monday press conference from the well of the House at the old State Capitol, Martin said the language of the amendments is so unclear that it would trigger litigation that could hamstring state government for years. Martin said the amendments would interfere with both the constitution’s requirement for separation of powers as well as the governor’s role to faithfully execute the laws. He called the language in the judicial appointments amendment that could be used to avoid a veto for other matters a “trojan horse” and said that, far from clarifying the definitions of the amendments for the ballot, the recent ballot language bills passed by the legislature did more to obscure the real intent. Martin was joined by former Govs. Mike Easley, Jim Hunt, Pat McCrory and Beverly Perdue, who all roundly criticized the effort as a legislative power grab. 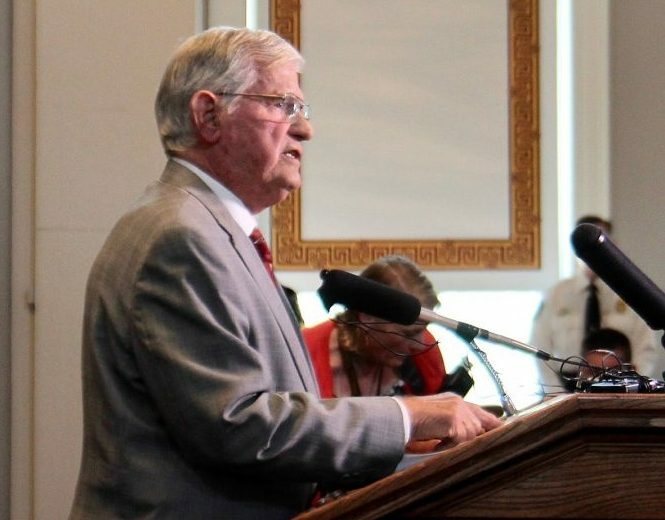 Easley, who served as governor from 2001 to 2009, said boards and commissions such as the Coastal Resources Commission were part of the executive branch and shouldn’t be under control of the legislature. If Amendments Pass, Then What? 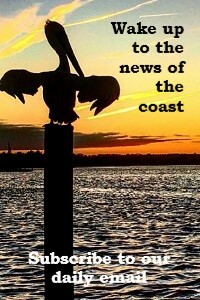 Robin Smith, a former state assistant environmental secretary and a recent Cooper appointee to the Coastal Resources Commission, said what’s being contemplated would be a significant change in the balance of power in the state. In an interview Tuesday, Smith said she agreed with former Gov. Martin’s assessment that the amendments would interfere with the governor’s ability to do the job the constitution requires. “It’s the governor’s duty to make sure the laws are faithfully executed, and the governor can’t do that if he has no control either over either the appointment of those commission members or their removal,” said Smith. She said it would be hard to predict how commissions made up of legislative appointees would interact with their respective departments, which are under the governor’s control. Smith said legislators have always had the ability to amend statutes if they disagree with how a department or commission interprets policy or carries out the laws, but it’s unclear how having more direct control over the rule-making boards will play out. Smith said she expected more litigation, should the amendments pass, saying there would likely be action around conflicts among various sections of the constitution. The amendment asserting legislative control over appointments powers doesn’t necessarily mean it will happen, she said, given that it only adds language to the constitution’s separation of powers section and doesn’t eliminate it. Smith said that should the amendments pass, the required enabling legislation could also face legal challenges.